17. Small plucked instrument: THUMB PIANO. 24. New York region, or its narrow bodies of water: FINGER LAKES. 33. Tropical tree leaf: PALM FROND. 51. Fluttering pitch: KNUCKLE BALL. 58. Popular necktie knot ... and a hint to the starts of 17-, 24-, 33- and 51-Across: FOUR IN HAND. How many years has it been ? 6. Scattered, as seeds: SOWN. Sown and strewn. 10. Rifle filler: AMMO. A young Desper-otto and his pal Nate used their pea shooters on a pile of sand that was destined for a stucco finish on a nearby house. Sprouts appeared on the walls. Fortunately for the young lads, it was only the scratch coat. 14. Hopeless case: GONER. He might have been a goner if that sand was used in the finish coat. 15. Fast-food legend Ray: KROC. Ray Kroc & The McDonald's Brothers - The history as summarized on the McDonald's website. 16. Enjoy a comic book, say: READ. 19. Fall back (on): RELY. 20. "__ Been Awhile": Staind song: IT'S. The genre is post-grunge, alt-metal. 22. Israeli president, 2007-2014: PERES. Shimon Peres. 27. Petit or grand crime: LARCENY. 29. Docking fee: MOORAGE. The verb moor (make fast, secure) and the suffix age (belonging to, relating to) creates the word moorage, which can be either the place where you moor or the fee for mooring. Just make sure your hawser is large enough. 30. Hog's nose: SNOUT. A pig, not a hog, but you get the point. 38. Busy IRS month: APR. Internal Revenue Service / April. 41. Not at home: OUT. 42. China's Zhou __: ENLAI. 46. Doesn't miss a thing: SEES ALL. 49. Forbes publisher Forbes: MALCOLM. He was fond of saying that he was loaded with "sheer ability, spelled i-n-h-e-r-i-t-a-n-c-e."
54. Gelatin dish: ASPIC. Spaghetti-Os aspic with Vienna Sausage. None for me, thanks ! 55. Slugging legend Mel: OTT. MLB Hall of Famer that played for the NY Giants for 22 years. A great article about the legend. 56. Canonized Fr. female: STE. Abbreviation of sainte, the feminine form of saint. 57. Slimming surg. : LIPO. Surgery / Liposuction. 62. Cookie cooker: OVEN. The appliance, not the individual, which could be baker. 64. Vital heart line: AORTA. 66. Cap'n's underling: BOS'N. Contractions of Captain and Bosun. 67. 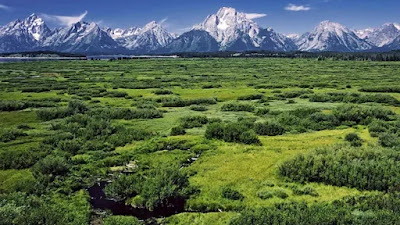 Wyoming's __ Range: TETON. 1. Ten-percenter: Abbr. : AGT. Agent. Talent and booking agents typically get 10 %. 2. Native American in a Cooper title: MOHICAN. About James Fenimore Cooper. We had a regular here that legally changed his name to one of the author's lead characters - Natty Bumpo. 3. Not yet born: IN UTERO. Latin, meaning in the womb. 5. Mars or Venus: ORB. Most often in poetry. I may have first heard orb used this way in the lyrics of a couple of songs on The Moody Blues Days of Future Passed album. 6. Like teenagers in the comic strip "Zits": SKINNY. No idea, but the perps said it had to be. 7. Chimp kin: ORANG. Monkeys have tails. Chimpanzees and orangutans are great apes. Tailless. 9. Sgt. or cpl. : NCO. Sergeant / Corporal: Non-commissioned officer. 11. Kalahari mongoose: MEERKAT. The Kalahari Resorts are in the Wisconsin Dells, Sandusky, and the Poconos. 12. Source of machismo, perhaps: MALE EGO. 13. Epic journey: ODYSSEY. My friend is going to take the Astro. Thinking about a used Sienna even though I like the styling of the Odyssey a little more. Mini vans are so versatile. I have to order a Soccer Mom sticker for the back window. 23. Capp and Capone: ALs. Kaline and Hrabosky would have thrown many off, but not Boomer and Hondo. 26. NFL analyst Tony: ROMO. 14 seasons with the Dallas Cowboys as a QB, and now partnered with Jim Nantz as the color commentator of NFL games broadcast by CBS. 31. Toward the tiller: AFT. Nautical terms. 34. Hang around: LOLL. Loiter. 35. Grand Canyon animal: MULE. 36. "Little" Dickens girl: NELL. 38. Require much (of): ASK A LOT. 39. Lost in thought: PENSIVE. 40. Signed on for another tour: REUPPED. 43. Skill rarely practiced now: LOST ART. 44. Not aligned with: ALIEN TO. 49. __ of honor: MATRON. 50. High: Pref. : ALTI. Like in the ten dollar word altiloquence, meaning lofty, pompous speech. Or as in altimeter or altitude. 56. Horse's footwear: SHOE. Fit to size by a farrier. 60. __ King Cole: NAT. 61. "The Da Vinci Code" author Brown: DAN.